Looking for some on-trend nail polishes to srpuce up your collection? 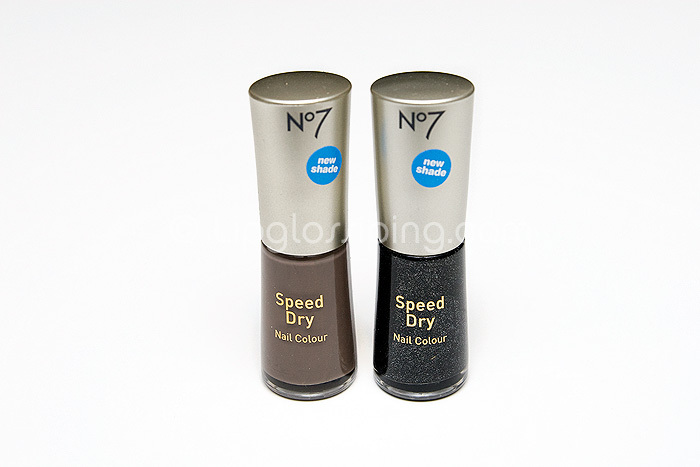 Win these new Boots No7 Nail Polishes in must-have shades Beanie and Beautifully Black. To be in with a chance of winning, simply “like” the Lipglossiping Facebook page and I’ll select a winner at random. Open to my lovely international readers as always, winner will be chosen on the 20th May. I bought Beanie with my £5 voucher the other day, it looks fab! I won’t enter your contest since I already have one but still a great giveaway. I have entered. I don’t usually stop by this range because it is right by the sales counter and awkward to get to and the salesgirls just bug me. These look great! If you happen to have any other internationally open giveaways, I’d love to hear about them!